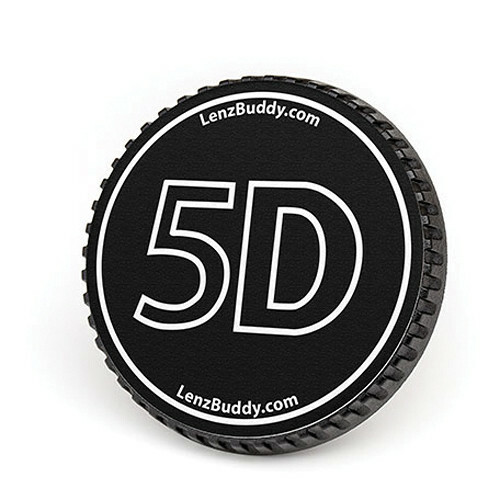 Add a touch of style to your camera with this black and white Body Cap from LenzBuddy. This cap fits all cameras featuring a Canon EF lens mount and it has has a unique design, 5D in this case, that will help add some flair. Box Dimensions (LxWxH) 5.6 x 3.6 x 1.0"